Do you, a family member, or someone you care for, access an adult social care service in Dudley borough? You are invited to help write Dudley’s annual adult social care annual report. 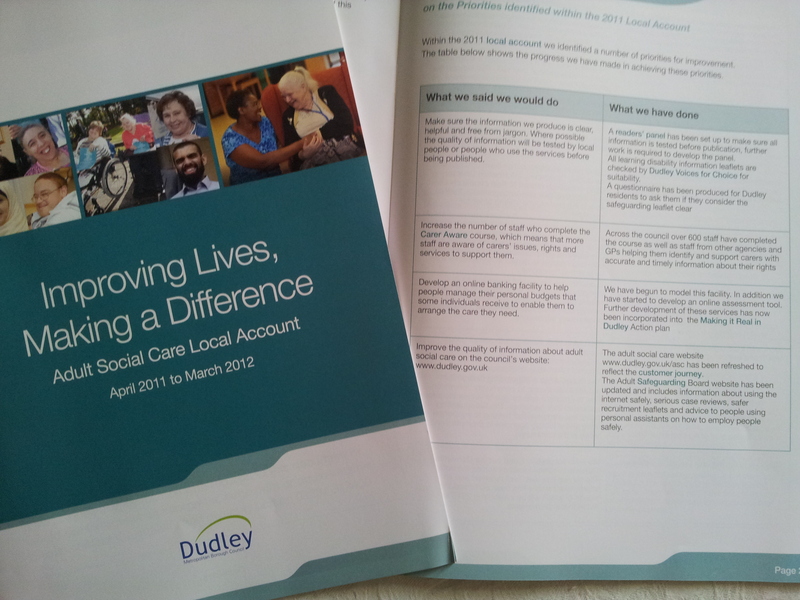 Dudley council has produced an annual report (or account) of the adult social care services it provides. This report is called “Improving lives, making a difference’ and local people helped to put it together. The report lists the differences made to people’s lives as a result of adult social care services, provided by Dudley council. It also lists priorities for future improvements. As part of the Making it Real in Dudley adult social care programme, Dudley council would like to invite you to help them produce their 2012/13 adult social care annual report. You will get the chance to be part of a reference group that will oversee the production and content of the latest local account for adult social care in Dudley. 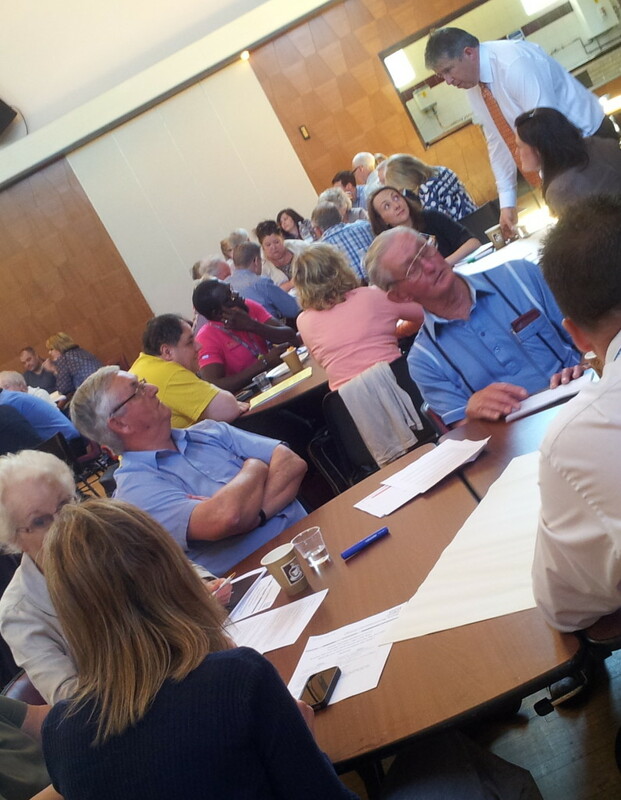 Healthwatch Dudley has been asked to bring this group together to make sure that the local account is a fair reflection of what is really happening, to listen to your experiences and to discuss if improvements were made, against the priorities that were set. Where can I see a copy of the report? You can download a copy of the 2011/12 ‘Improving lives, making a difference’ annual report here: Improving-lives-making-a-difference This document is also called the adult social care local account. If you have problems downloading this document, call us and we will either email it to you or pop a copy in the post. Why is Healthwatch Dudley involved? Healthwatch Dudley is a new independent consumer champion for people who access health and social care services in Dudley borough. We want to listen to local people’s views and experiences, so we can share them with people who make key decisions about everyone’s health and wellbeing. We still want to hear your voice. Get in touch and we can discuss how you can be involved. This entry was posted in Event and tagged Dudley, Dudley borough, Dudley council, health and social care, local voice, Making it Real, your experience, your views on July 16, 2013 by Healthwatch Dudley. Team Healthwatch has had a busy few months getting around the borough, finding out how we can best work with our partners and with local people. We have just been adding up how many people we have reached since April 1st we can’t believe that we have attended 50 meetings and events that were attended by more than 1000 people. We have given presentations to GPs on the new Dudley Clinical Commissioning Group (CCG) Board and to the Council of Governors at The Dudley Group NHS Foundation Trust. Our vision was shared at the Making it Real staff and stakeholder roadshow and also with with the Chief Executive and Chair of Dudley & Walsall Mental Health Partnership NHS Trust. We have also shared our news with Dudley’s new Healthy Living Champions and spread the word at the two day Dementia Gateways roadshow in Halesowen Town Centre. We brought together over 70 people from 40 local organisations and participants were encouraged to submit ideas for discussion as part of an unconferenced approach. Over 30 discussion topics were suggested and then grouped together. 11 workshops followed with lots of energetic debate. There were lots of questions too, some of which were answered on the day and others which have been used to start a questions and answers page on this site. As you can see, there has been lots happening here and there is plenty of activity in the pipeline. If you haven’t already done so, you might like to sign up to our mailing list. Very soon we will be revealing more information about our board, Healthwatch Hotspots and new exciting volunteer opportunities. Finally, we hope you like our refreshed website. Our banner stars are people who support, or who are supported by Dudley Voices for Choice and who kindly posed for us. We would like to say a big thank you to them! 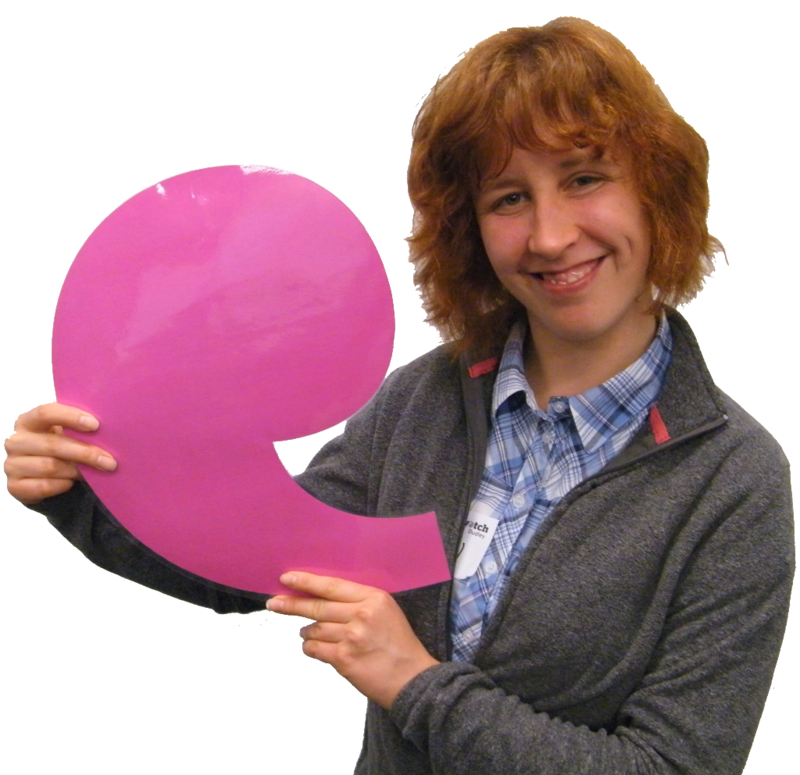 Very soon we will be adding lots more local faces to show how we represent the voices of everyone in Dudley borough. If you or someone from a group that you represent would like to be the face of Healthwatch Dudley, we would love to hear from you. This entry was posted in Healthwatch Dudley update and tagged community, consumer champion, Dudley, Dudley borough, Dudley CCG, Dudley CVS, Dudley Voices for Choice, health and social care, Healthwatch, Healthy Living Champions, Making it Real, volunteers on June 12, 2013 by Healthwatch Dudley. 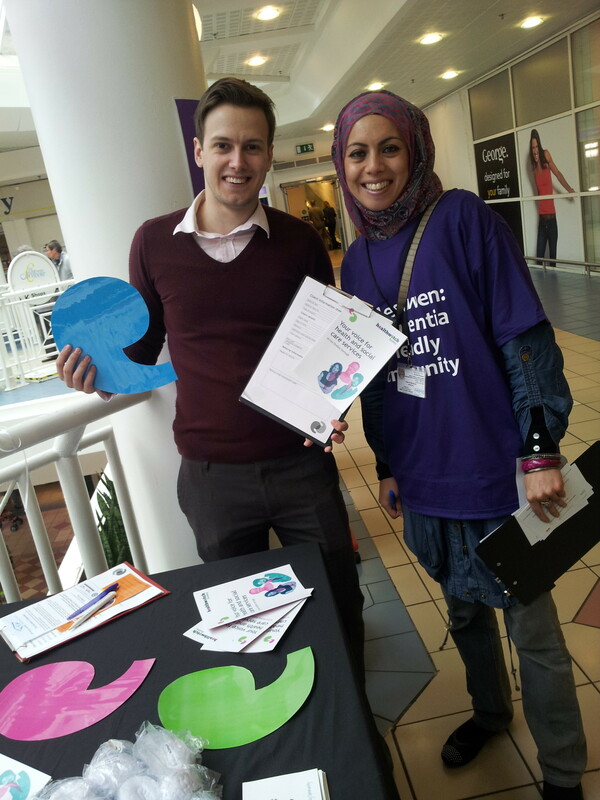 Healthwatch Dudley is your new consumer champion for both health and social care services in Dudley borough. This new independent service will listen to local people, allowing them to help shape health and social care services. If you have got views or concerns about local services such as GPs, dentists, hospitals, day care services and care homes, Healthwatch Dudley wants to hear from you. 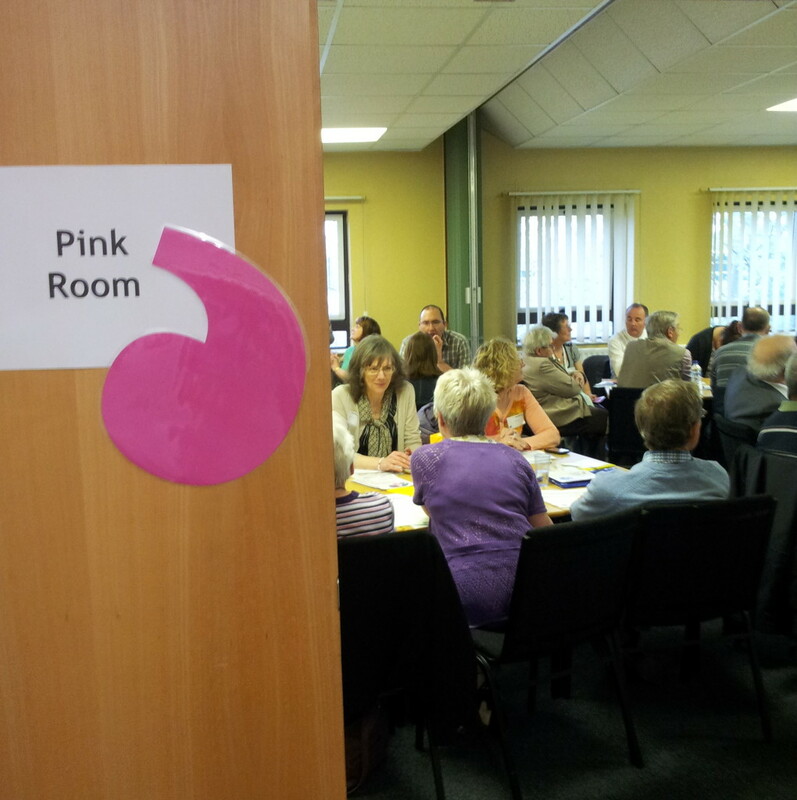 The event was held as an ‘unconference’ which meant that the people who attended set the agenda – and this resulted in lots of energetic discussions. We are in the process of putting together everyones feedback and will post it here very soon. If you would like more information please join our mailing list or click here to find out how to get in touch. This entry was posted in Healthwatch Dudley update and tagged consumer champion, Dudley CVS, health and social care, Healthwatch, local voice on April 2, 2013 by Healthwatch Dudley. social care services in Dudley borough – but we’re not quite there yet! In the coming months events and activities will take place so that you can have your say and help to shape your new service. An exciting launch event is being planned and we will post details here as soon as we can. If you have any concerns about health and social care in Dudley borough before April 1st 2013, you can still contact Dudley LINk on 01384 886444. This entry was posted in Healthwatch Dudley update and tagged community, consumer champion, Dudley, Dudley borough, Dudley CVS, health and social care, Healthwatch, volunteers on February 28, 2013 by Healthwatch Dudley.